Sustainability Report: Are Composite Building Materials Sustainable? In grade schools long ago, many people had to build something out of toothpicks or Popsicle sticks—a house, a bridge, a boat. It might have been an art project or a science experiment, but the idea was to make something new out of existing materials. That’s the basic idea behind composite building materials, engineering a combination of materials that result in something better than the constituent parts. Concrete is a traditional composite created by combining aggregate, cement, additives and water. But as concerns grow about pollution, groundwater contamination and depletion of natural resources, the construction industry is rethinking its approach to building as usual. 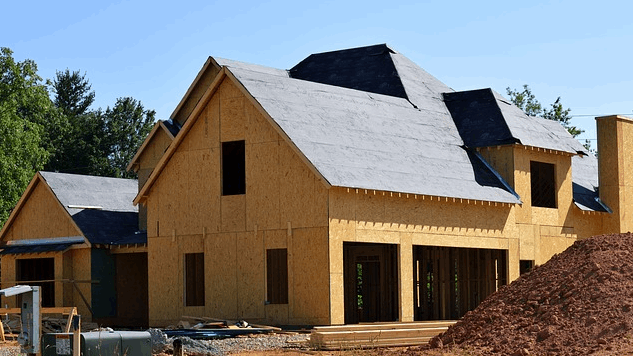 Composite building materials provide one alternative touted as a “green building” option. Some newer composites are going mainstream—wood-like boards made of recycled plastic, or a combination of wood and plastic are commonly used for building outdoor decks. But the construction industry is slow to change, according to Arpad Horvath, professor in the Engineering and Management program at the University of California. In “Construction Materials and the Environment” he says construction companies, with the exception of some larger firms, are “ill-prepared” to address environmental management and stewardship. Numerous composites have been developed and used successfully for years in other countries, such as cross-laminated timber. CLT is made of numerous pieces of wood, such as 2X4s or 2X6s, stacked crosswise and glued to create a larger, stronger piece of wood. Developed in Europe over 20 years ago, CLT is used there for all kinds of building projects. It’s proven to be cost-effective and has the added benefits of quick installation, reduced waste, improved thermal performance and design versatility. But most U.S. building codes won’t allow the use of CLT until more research and testing prove it meets our safety and building-code standards. One of those requirements is how composite materials behave during earthquakes. At the University of Alabama, the Department of Civil, Construction and Environmental Engineering is doing seismic testing on CLT with the goal of “optimizing how much CLT and how much light-frame in the building that will make it work best,” says Thang Dao, assistant professor of structural engineering. The familiar wall construction of vertical, 2-inch by 4-inch (2X4) wood studs spaced eight to 12 inches apart is called light-frame construction. It can’t hold up much weight, so it isn’t used in large buildings or high-rise construction. However, it does help a building withstand earthquakes fairly well. Tao says it will be some time before this or other composite building materials make their way into daily use because building codes don’t include them. The tallest CLT building in the U.S. is being planned in Oregon and required special approvals. As one of two buildings awarded $1.5 million by the USDA Tall Wood Building Competition, Framework is an 11 story building that will serve as a test- for composite wood. CLT doesn’t use old-growth trees—numerous types of younger, locally sourced wood can be used. The basic material (wood) is renewable—trees can be grown and harvested, eliminating the destruction of natural habitats. Much less waste is produced on the construction site—water isn’t needed and less dust is created (both are part of brick and concrete work). However, the full environmental impact of this or any composite requires a life-cycle assessment (LCA). Reviews consider the environmental impact of mining, water use and contamination, pollution, energy use, waste and disposal for every aspect of the composite material life cycle. While some LCA research has been performed, it’s inadequate and incomplete, according to Horvath. The process is time consuming and expensive, resulting in many companies picking and choosing portions of the life cycle to evaluate and promote. This can also be seen in the O’Brien-Bernini article. Early on, he offers a succinct and appealing view of composite materials as part of sustainable building practices. “Sustainability requires balance and consideration of economic, human and environmental factors in order to meet our needs today without compromising the resources available for future generations,” he writes. “The place where all three come together is where green becomes golden. But then, he goes on to boast about his company’s green commitment without detailing components of the “more than 30 Product LCAs” performed. The CLM Tao is working with doesn’t have a life-cycle assessment, and he doesn’t expect them to be common until the cost comes down. Consumer pressure and municipal regulations could force the issue and ultimately drive down the cost. But Horvath would prefer to see the industry demand and utilize composites that are environmentally sound. Margo is a science writer poking her nose into everything that piques her curiosity, from NASA and sea turtles to climate change and green tech.